Punctuality is our priority. We guarantee the service on fixed days and planned and carried out by trained and attentive to every particular need of our customers. The withdrawal of the laundry is in our care at the headquarters of the customer. To facilitate the collection and delivery of linen is provided a sufficient number of trolleys type roll. 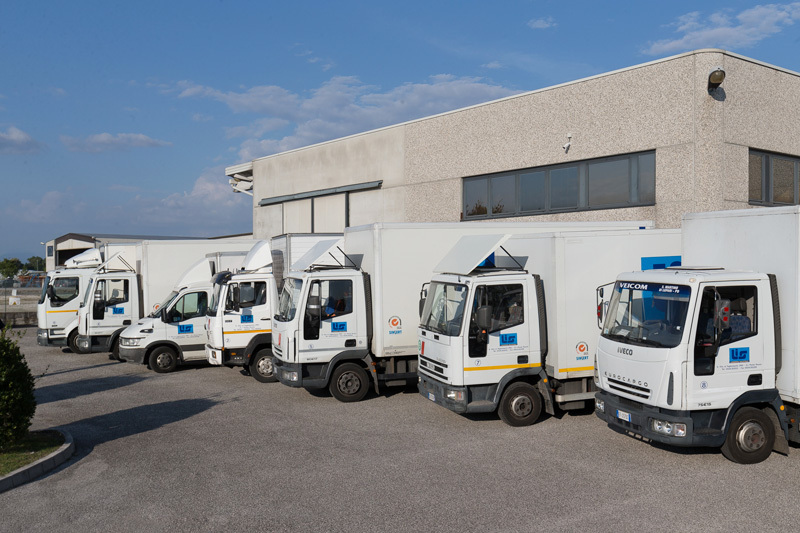 The transport takes place in vehicles equipped with hydraulic side to speed up the operations of loading and unloading. The driver provides the discharge of clean linen in the wardrobe of the customer and after the load of laundry. The vehicle is subjected to frequent washing processes inside and outside with high-pressure cleaner and with detergent and disinfectant products. 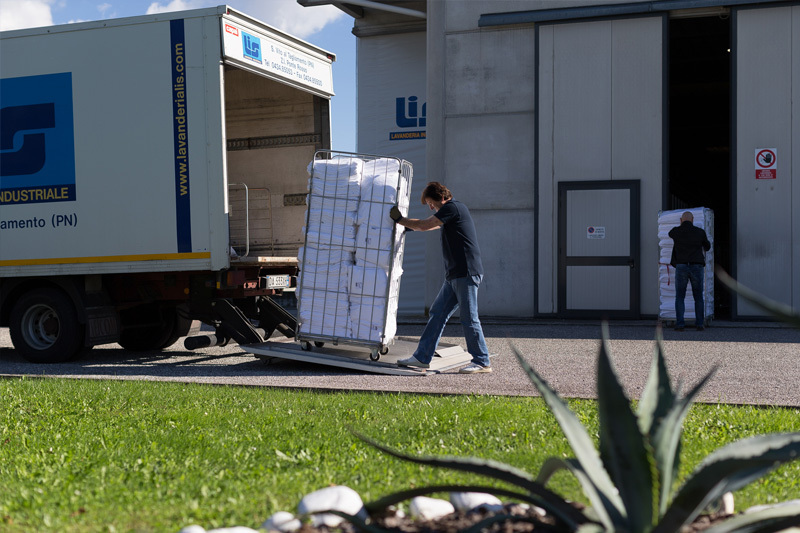 The shipping department receives the material from the ironing area and bending through an automated system from Pizzardi, which in addition to managing the count linen and nylon shrink wrapping, prepares packages labeled according to the names and route delivery prepared from the shipping department itself. 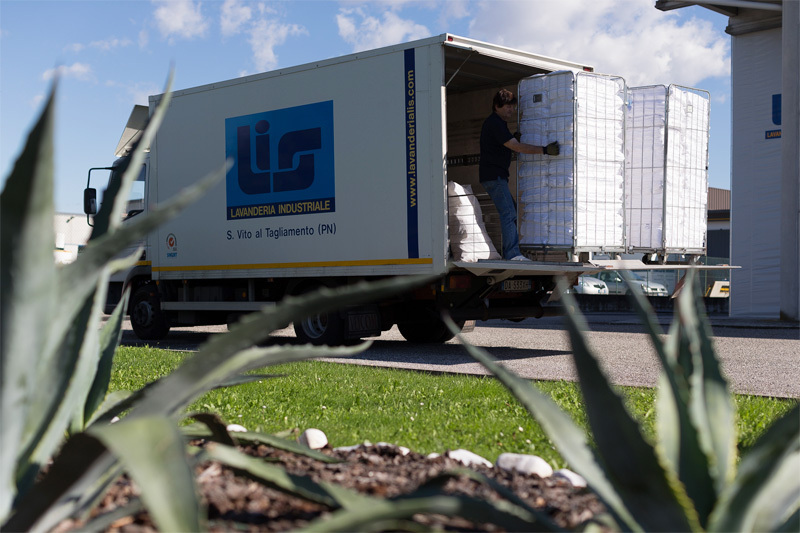 All packages are wrapped with nylon polyethylene shrink perforated to prevent damage during transport and facilitate handling.